We are you contact person for any kind of corporate event. No matter if it's a staff outing, a teambuilding or an incentive, HEP is always at your side with their longstanding experience. Best quality is our highest premise. 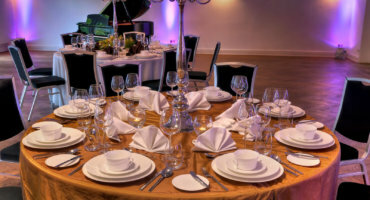 You can expect a professional planning, organization and execution of you event. 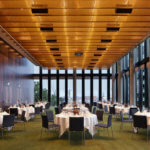 We guarantee that we will make your corporate event unique. 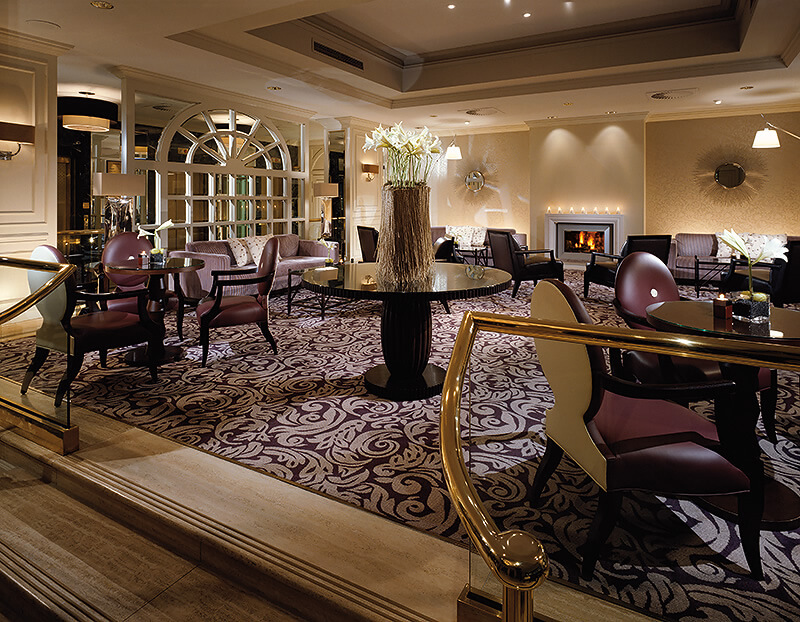 Draw inspiration from our manifold offers and enjoy your personal full package from A to Z! An important product presentation or the introduction of a new long-term strategy are pending? 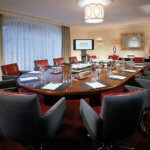 The occasions for a professional conference or a congress with customers and employees are as diverse as our programs. 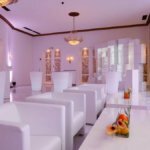 As an event agency HEP supports you in the organization of your event so that you can fully concentrate on the contents. 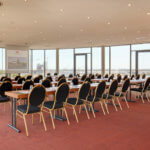 Moreover, we also offer appealing framework programs, hotel and shuttles services as well as professional support with your trade fair appearance. Glitter, glance and glamour - If you have an event in mind that can be described with these terms you are perfectly right here with HEP! 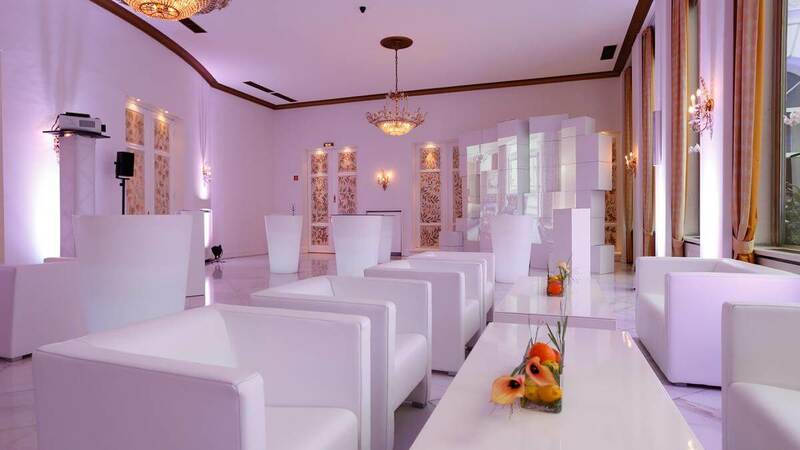 We as your partner offer you unforgettable high-end events. 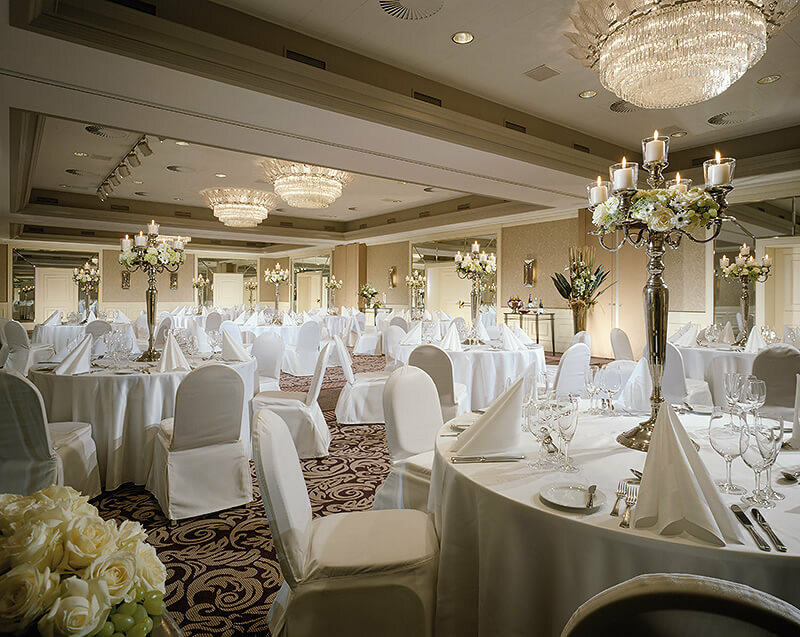 Our first-class locations are ideally suited to celebrate your extraordinary event in a magnificent setting. 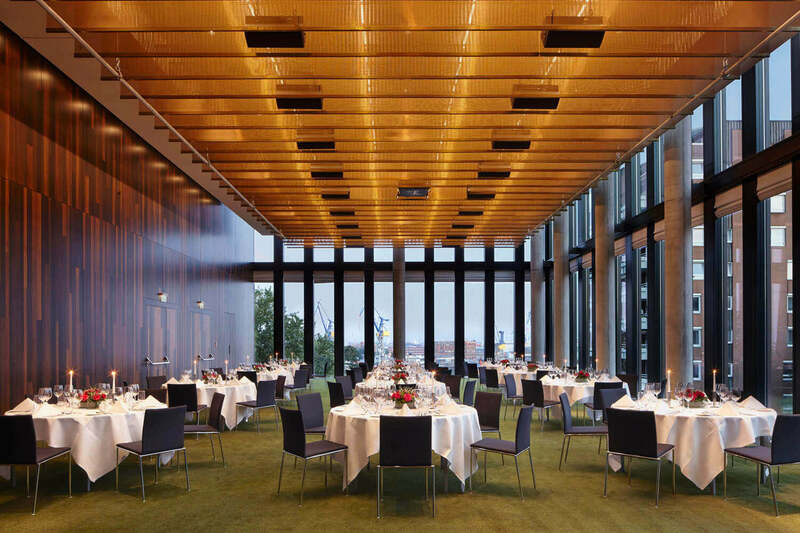 Our broad offer ranges from modern luxury in the HafenCity to romantic elegance at the Alster river. Your individual ideas and wishes will be implemented in a creative way. 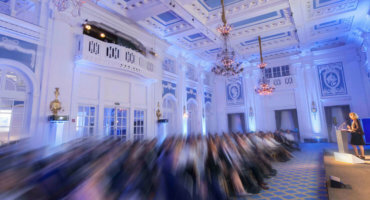 Innovative, interactive, individual – That are events with HEP. 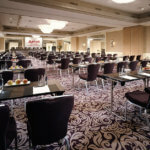 Please inform yourself about our varied offers for corporate events and incentives, teambuilding, framework programs as well as arranging hotel accommodation or Christmas celebrations. Together with you we will design your individual event concept so that your event will be successfull. Extraordinary, attractive, authentic – That are events with HEP. We are specialized in converting sophisticated and creativ ideas. Longtime experience, highest quality claims and an ambitious team distinguish us from the rest. You don’t have to worry about anything. We take care of the practical implementaion from the beginning to the end. Modern, rounsing, makeable – That are events with HEP. We only promise what we can deliver. Challenge us and we will show you what is possible. Let yourself be carried away by our enthusiasm and together we will make your event unforgettable. Your clients and employees will be impressed. 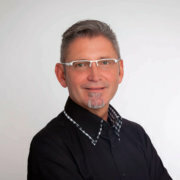 Thomas Pylla's vision and commitment brought life to HEP - Hanseatische Event Partner GmbH in 2007. As managing director he is pulling the strings. His longterm experience in the hotel business, in gastronomy and event management are his strengths. 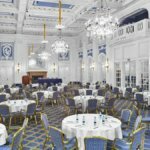 Thanks to his numerous contacts HEP benefits from a broad network of partners, hotels, locations and restaurants that enable us to organize events individually tailored to our customer's wishes. 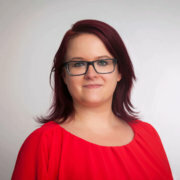 Corinna Ludwigs is responsible for all matters regarding project and event management at HEP. She works for HEP since 2015. Miss Ludwigs is the main organizer in planning and staging our events. She is your contact person if you have questions, suggestions and wishes for your event. At the same time she manages the communication with our partners so that you don't have to worry about a thing. 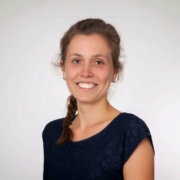 Our youngest team member, Katharina Rohrmoser, supports HEP since 2016. She is 24 years old and studied Leisure and Tourism Management. Miss Rohrmoser is responsible for Marketing, advertising and client acquisition. She maintains our website and represents HEP in our social networks. 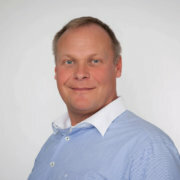 Wolfgang Fehlinger studied Business Administration. 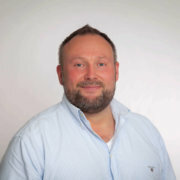 He is HEP's account manager. 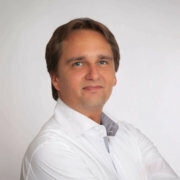 Jan Schunke is the logistics specialist at HEP since 2015. The 45 year-old is a trained forwarding merchant and also studied Traffic Management. Mr. Schunke is responsible for our transfer service. He makes sure that you always arrive on time at your destination. Moreover, he manages purchase and storage. Mike Gronwald is our main technician. He works for HEP since 2010. Mr. Grohnwald is a trained event technician. At the events he is responsible for light, sound and decoration. The Speicherstadt (old warehouse district) is part of the UNESCO World Cultural Heritage since 2015. 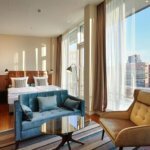 You shouldn’t miss the opportunity to absorb the unique atmosphere of this district also during your hotel stay. 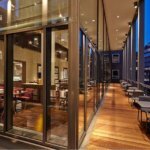 The AMERON Hotel Speicherstadt was opened in 2014 in a landmarked brick building. 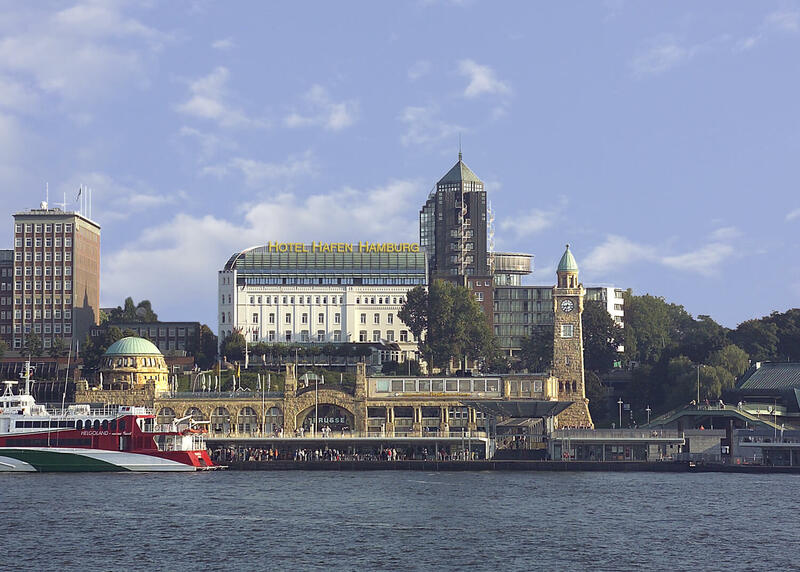 Here you will experience Hamburg history vividly. 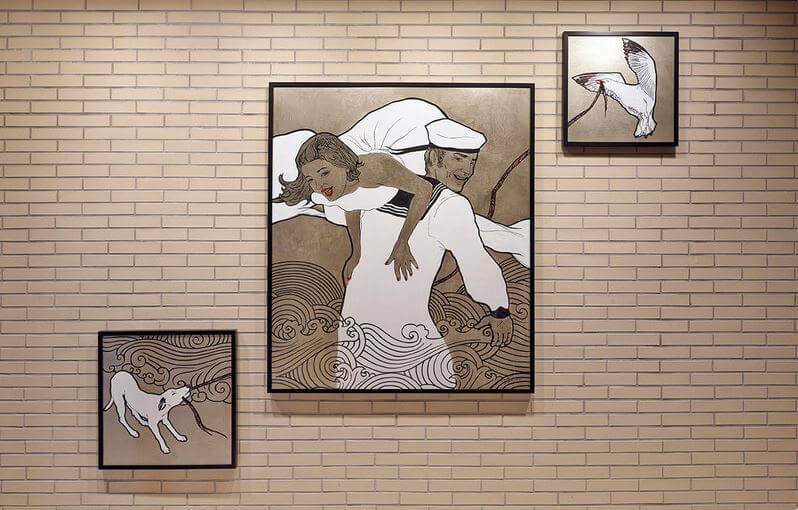 The 192 rooms amaze with their modern maritime design. 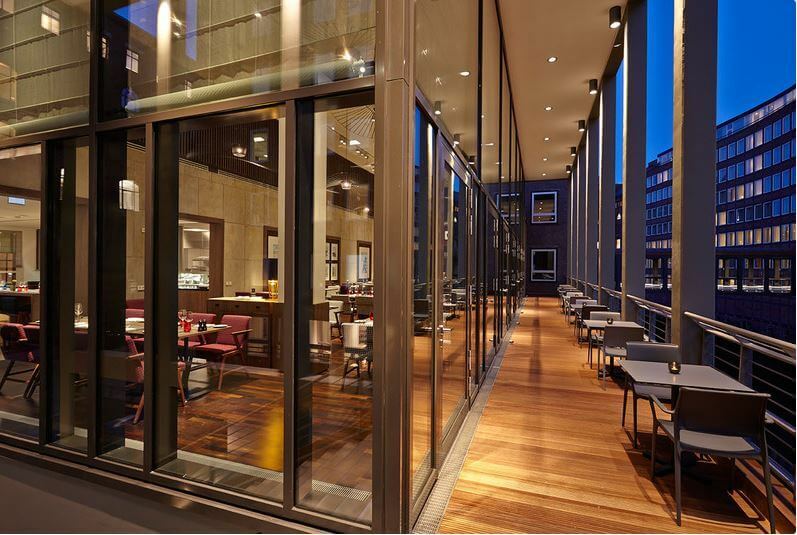 The Italian restaurant has a big outdoor terrace as well as a lounge and is furnished in the style of the 50s and 60s. 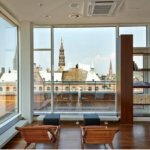 Panoramic windows allow for an amazing view over the canals of the Speicherstadt. 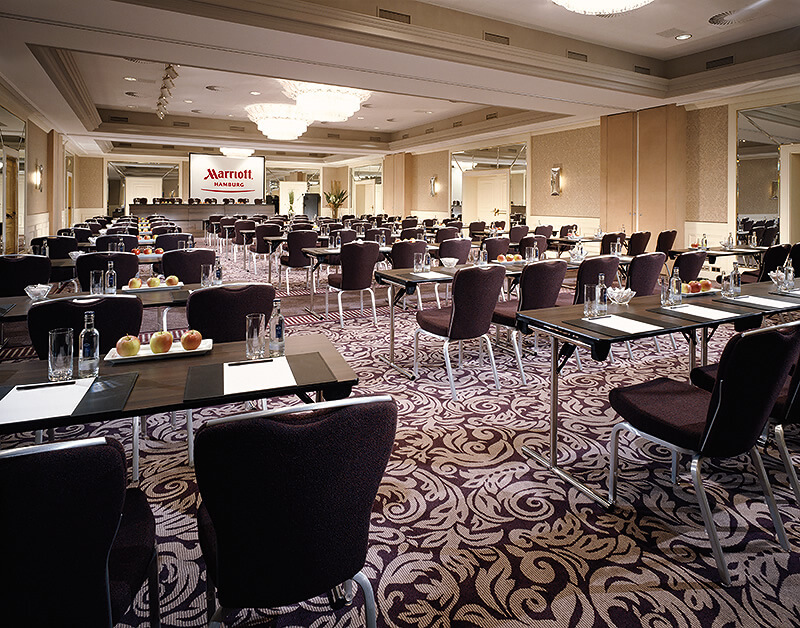 Many spacious conference rooms along with the latest technical equipment are optimally suited for congresses and seminars. 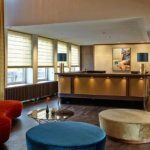 The hotel’s features include the former Coffee Exchange of Hamburg, a cozy fireplace lounge and a luxurious SPA area on the hotel’s 7th floor with view over the HafenCity. 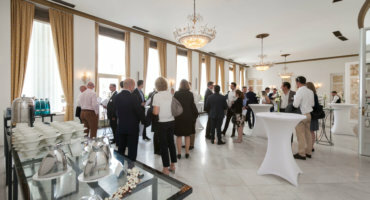 Haben Sie Fragen zu einem Event oder einer Veranstaltung in diesem Hotel? In the heart of the Hanseatic city, right next to the harbor, the city center, the Speicherstadt (old warehouse district) and the Elbe Philharmonic Hall there is one building that stands solid as a rock high above all the others. 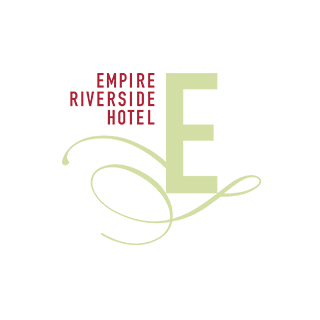 The Empire Riverside Hotel is located above the St. Pauli Landungsbrücken (St. Pauli Piers). 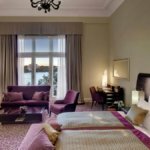 The hotel was opened in 2007 and is definitely worth visiting. 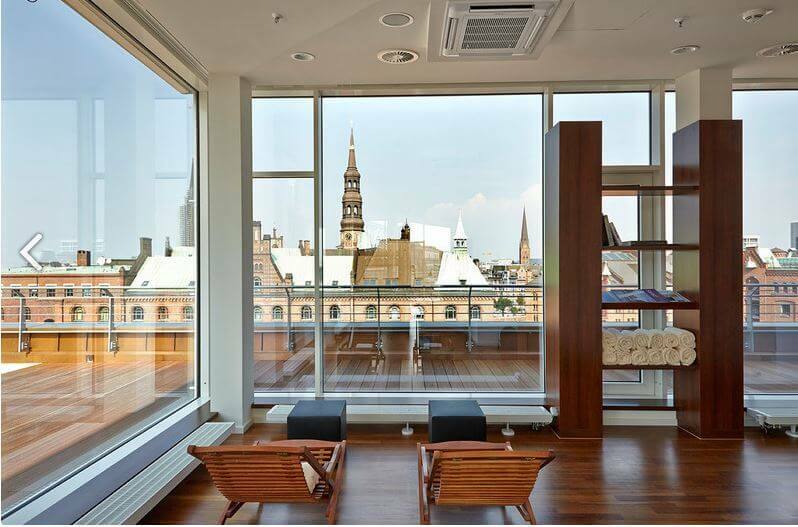 Its elegant and modern design is both timeless and represents Hamburg’s cosmopolitan character. 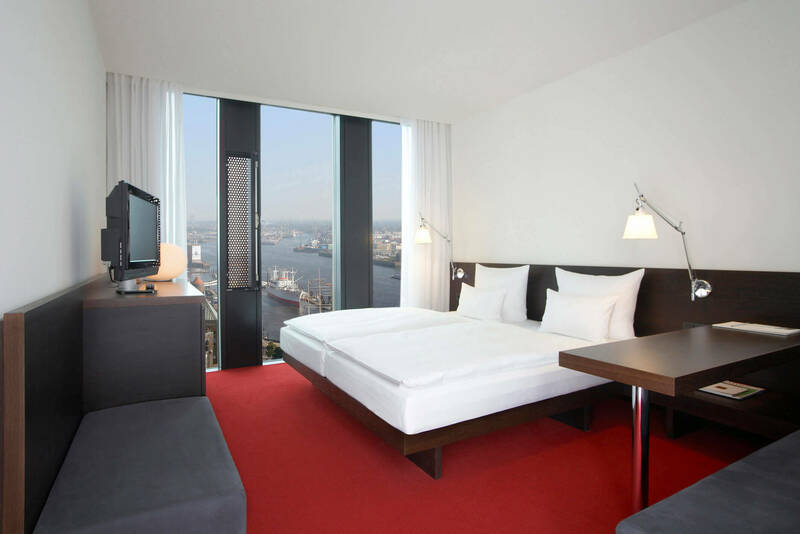 The 320 rooms are spacious and comfortably furnished with an amazing view over the Elbe River. 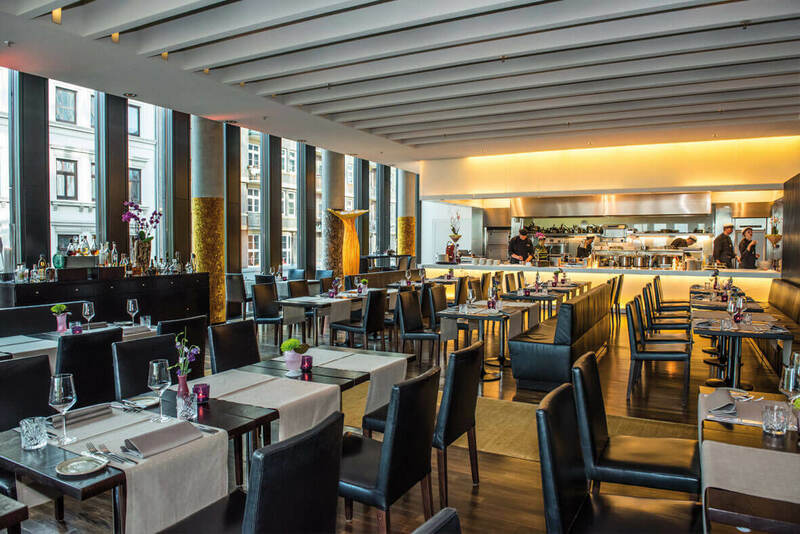 Experience culinary delights in the hotel’s restaurant with show kitchen, in the elegant fireplace lounge or in the bar on the 20th floor with a view that will take your breath. 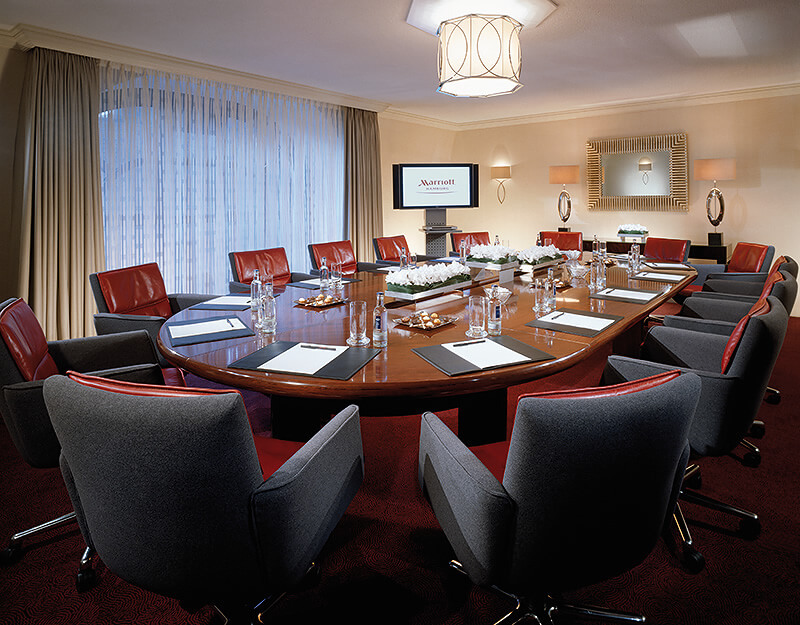 Moreover, the hotel offers latest equipment and enough room for conferences and seminars and you can perfectly relax in the big SPA area. 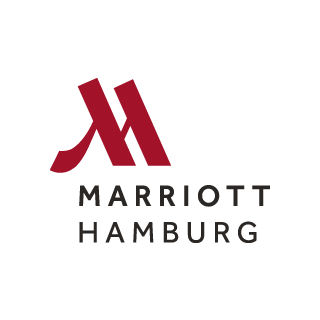 The Hamburg Marriott Hotel is the best place to go when you are looking for an exclusive Hotel in the city center. The Gänsemarkt, the Jungfernstieg and the Binnenalster (Inner Alster Lake) are only a stone’s throw away. 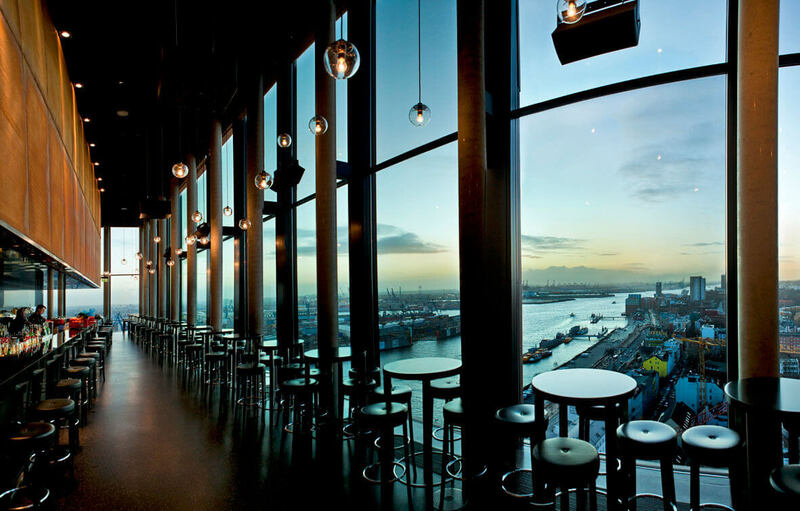 On top of that, the town hall, the park Planten un Blomen, the congress center and the harbor are in close proximity. 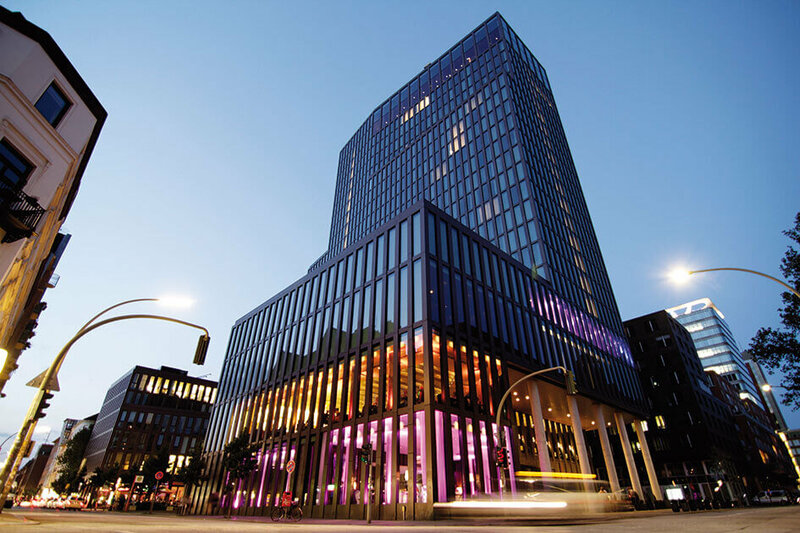 Here everything Hamburg has to offer is united – inviting shopping streets, historic sights, good business opportunities and the vibrant night life. 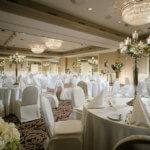 The hotel is ideally suited for event of any kind with up to 300 people. 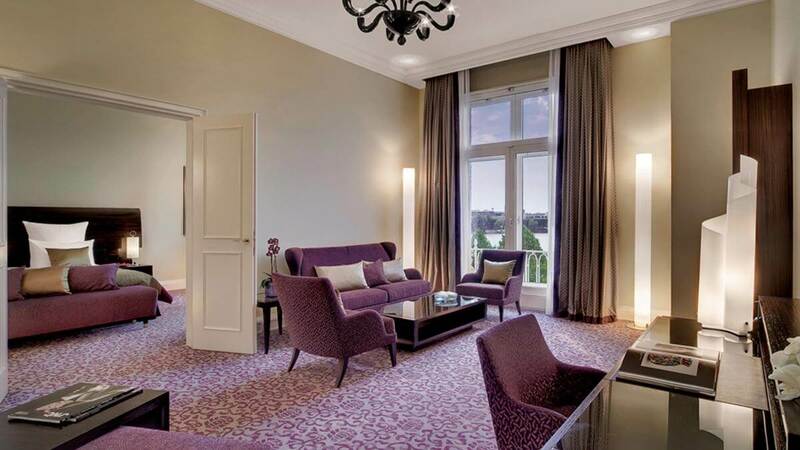 The 278 spacious rooms are furnished in a modern and comfortable way with nothing left to be desired. 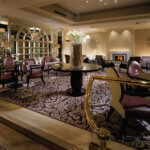 A restaurant with Northern kitchen, a bar with live piano music, a lounge and a catering serving belonging to the hotel round off the culinary offer. In the SPA area with gym you can restore your vitality. 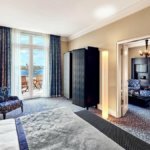 Hamburg’s Grand Hotel bids you a warm welcome! 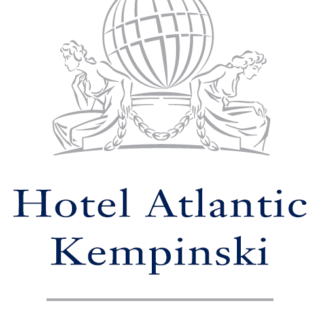 In its own unique way the five-star Hotel Atlantic Kempinski unites tradition and modernity, representing an exquisite grand-hotel style with European flair. 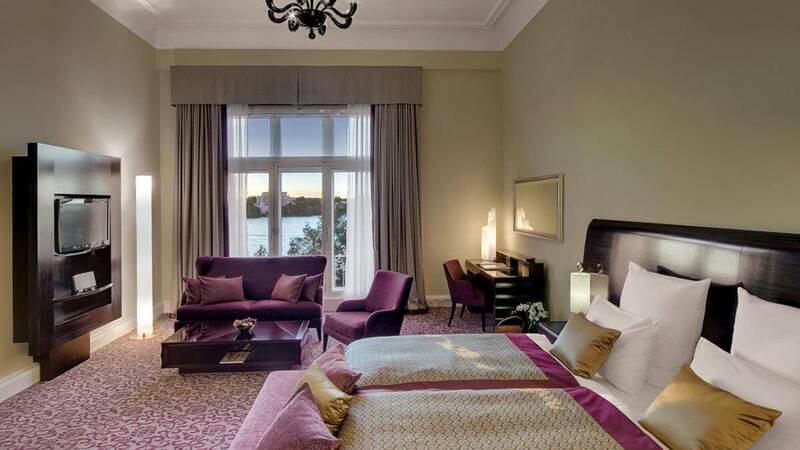 Located directly on the Outer Alster river the hotel has served as a calm oasis since its opening in 1909. 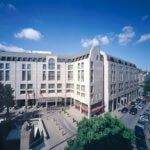 At the same time, the accessibility and central location make it for a city break. 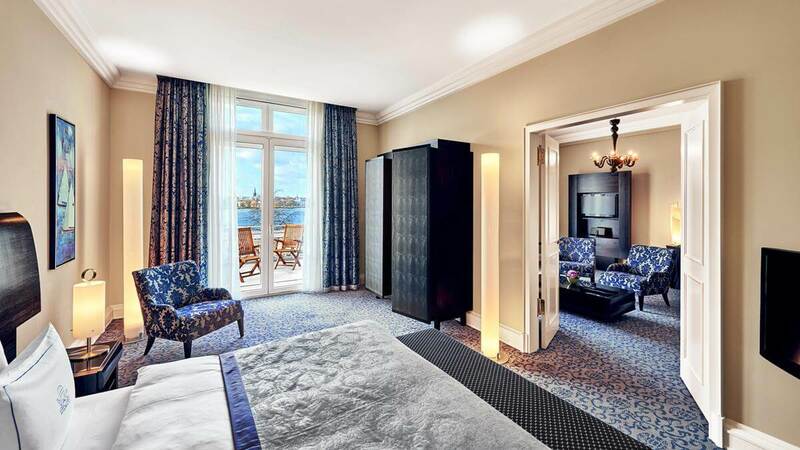 Feel the typical Hanseatic noblesse and exclusivity in all 221 rooms and suits. 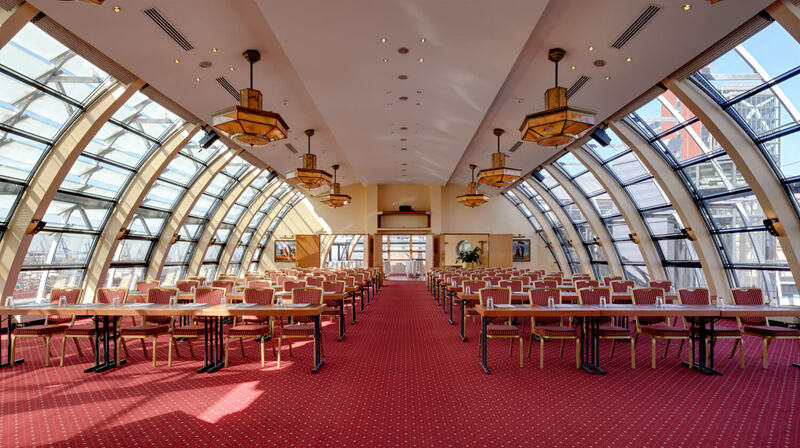 13 meeting rooms with a ceiling height of 8 m provide the perfect scenery for unforgettable conferences. 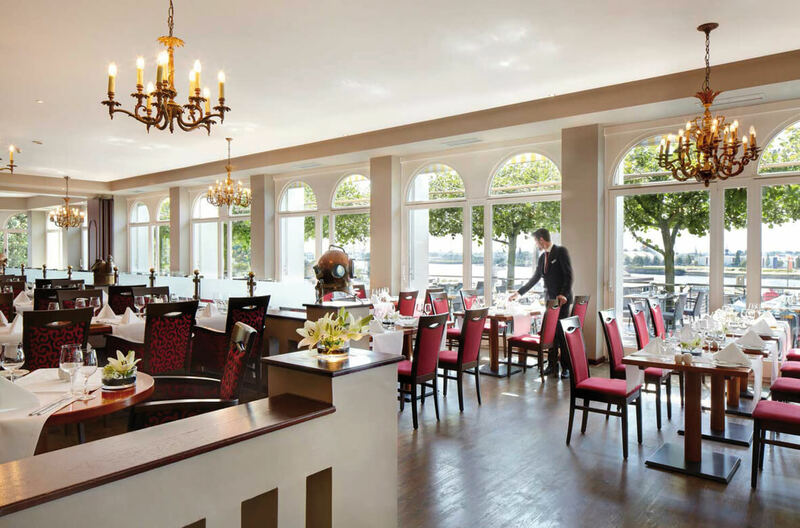 The Atlantic Restaurant offers a combination of modern German cuisine with regional and maritime cuisine. 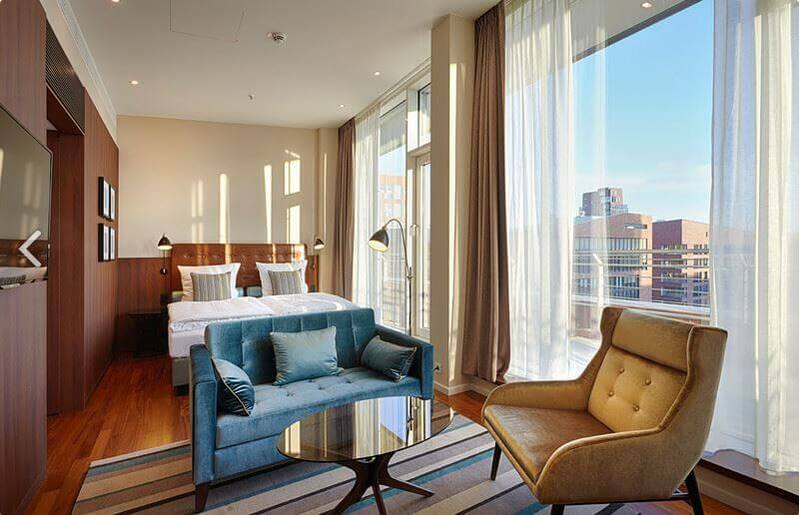 The Hotel Hafen Hamburg lives up to its name. 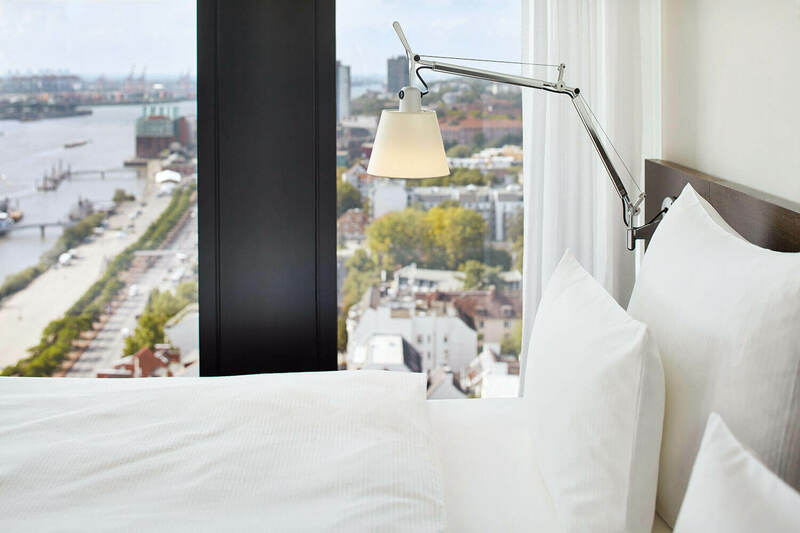 The traditional maritime hotel is located above the St. Pauli Landungsbrücken (St. Pauli Piers) and offers a unique mixture of elegance and the unparalleled Hanseatic flair. 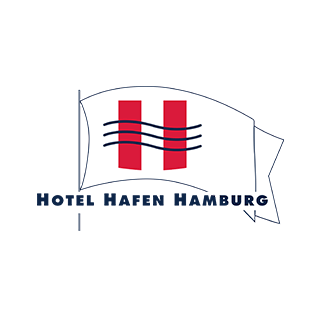 There is hardly a hotel in Hamburg that offers a more direct location at the harbor. 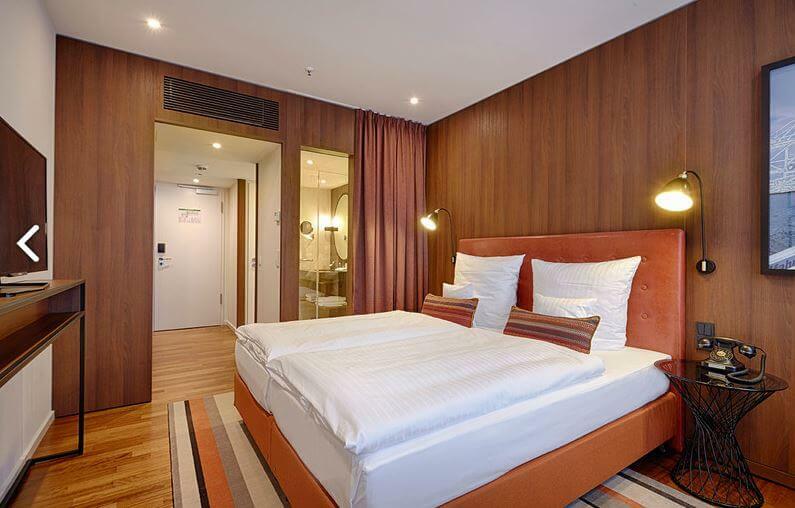 The 370 rooms are bright and modernly furnished and they provide any comfort. 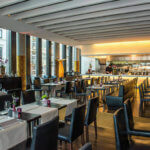 Furthermore, the hotel takes care of your culinary well-being – In the first-class restaurant, a cozy beer tavern, an American-style diner or in the bar high above the city’s rooftops with an amazing view over Hamburg. 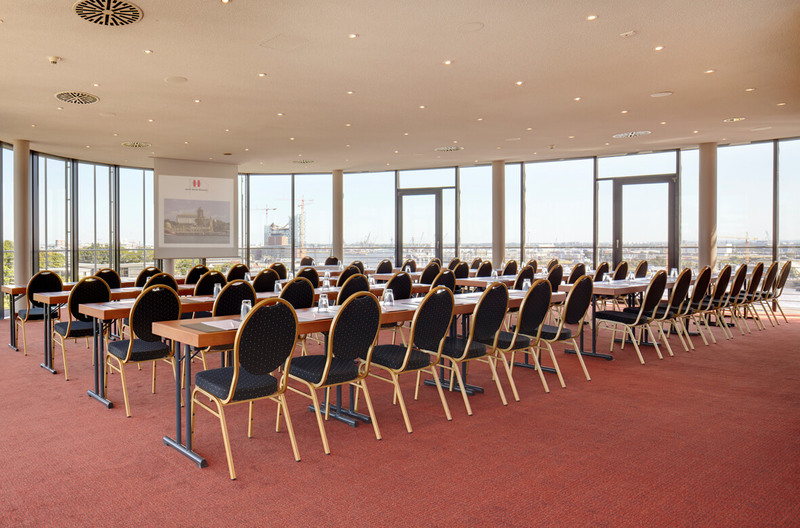 The Hotel Hafen Hamburg is ideally suited for conferences, weddings and other events of any kind. 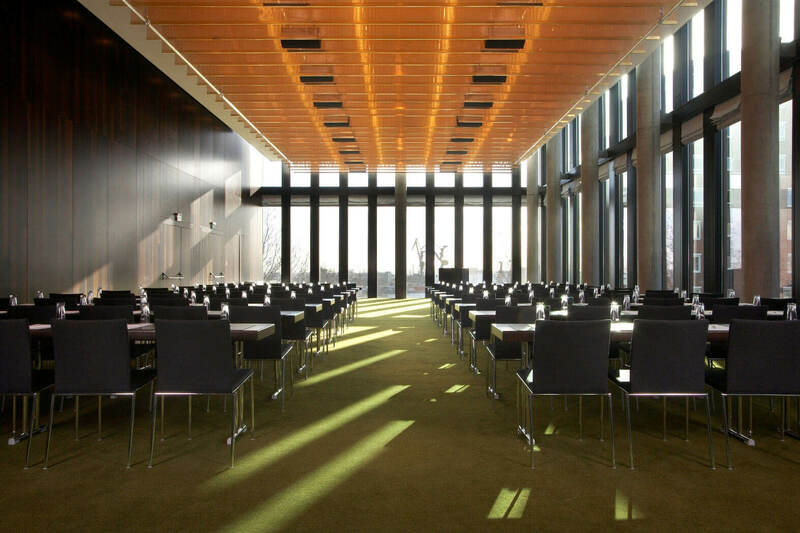 The rooms flooded with light in the Elbkuppel (dome of the hotel) make every event special. 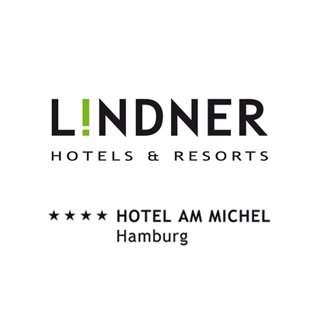 The name says it – The Linder Hotel Am Michel (“Hotel at the Michel”) is located in the best site right next to the St. Michaelis church, one of Hamburg’s landmarks. It’s an ideal starting point to explore the city by foot. 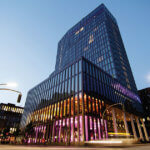 The city center, the vibrant HafenCity and the historical Speicherstadt (old warehouse district) are within 1.5km distance. 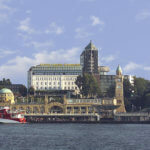 From here Hamburg, the “Gate to the World” awaits you and you can explore the city on the banks of the Elbe River. 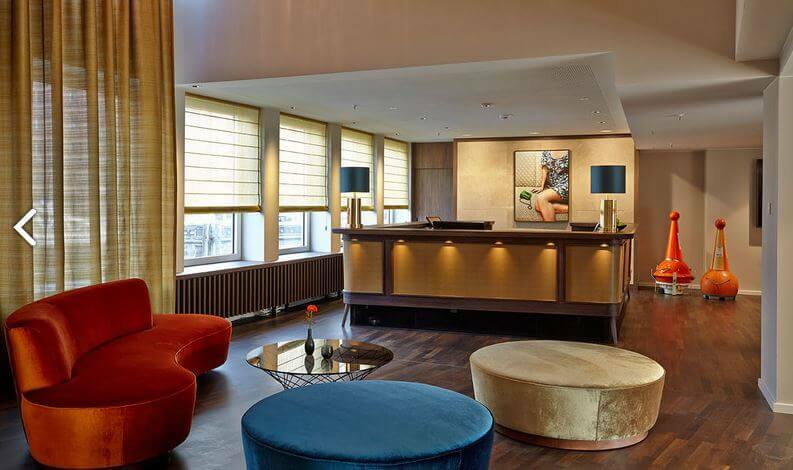 The Linder Hotel Am Michel combines luxurious and casual design with lots of love for details. The 220 cozy rooms are modernly furnished and provide little oases of peace. 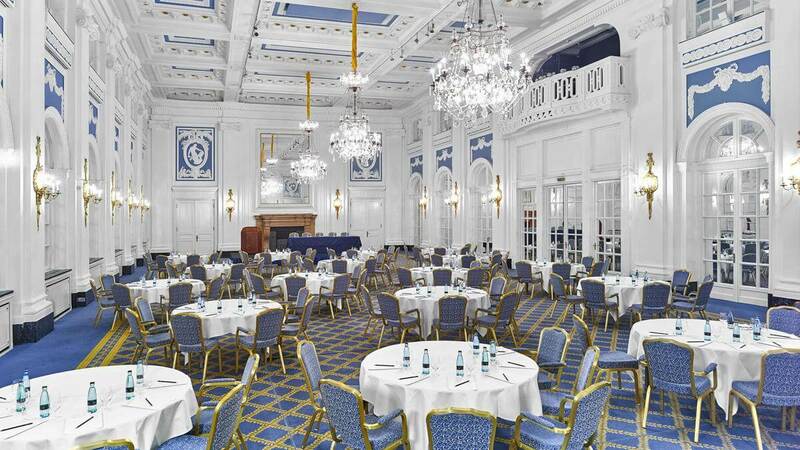 On top of that, the hotel is optimal for staging an event. 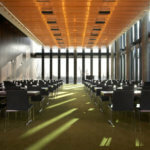 No matter if you are planning a conference or a private event, the seven convention rooms are all equipped with modern technique and can be used to realize events of any kind. 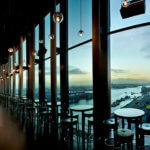 Two restaurants and a bar encourage visitors to linger. The wellness area with sauna and gym promise tranquility, relaxation and regeneration. 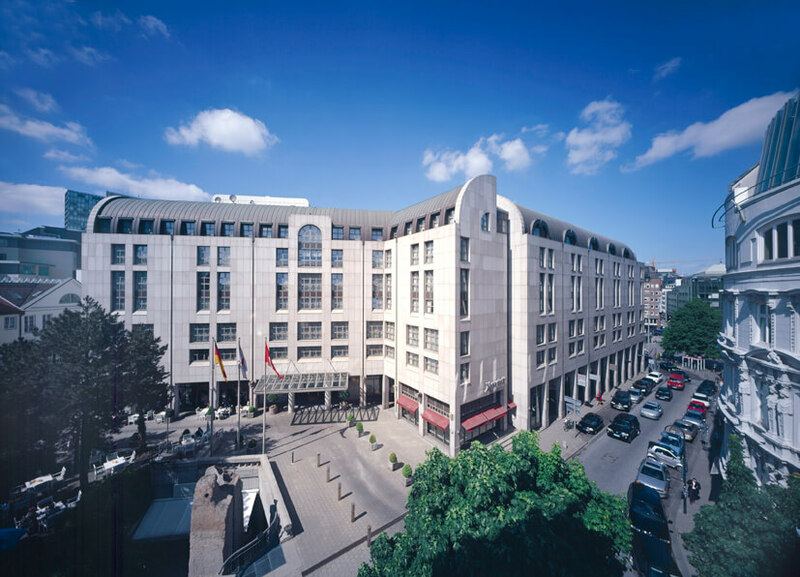 The Linder Hotel Am Michel is not just a secret address for business travelers but also an elegant city hotel for a city holiday.